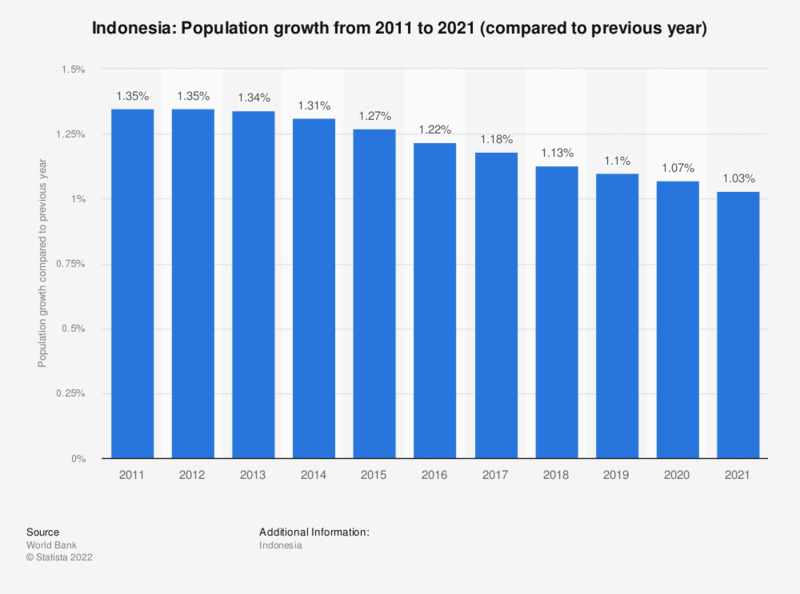 This statistic shows the population growth in Indonesia from 2007 to 2017. In 2017, Indonesia's population increased by approximately 1.1 percent compared to the previous year. That year, the total population of Indonesia amounted to approximately 241 million people.